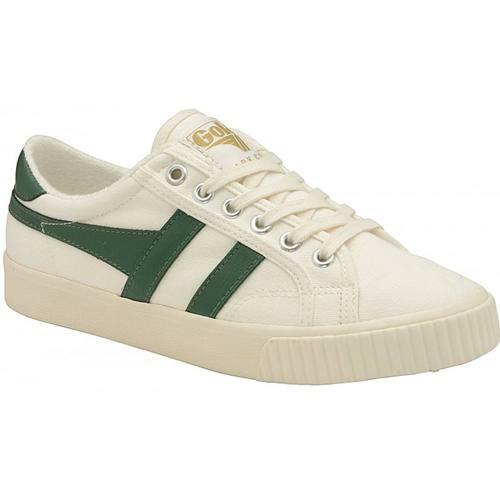 A new retro 70s plimsole tennis trainers from Gola Classics. 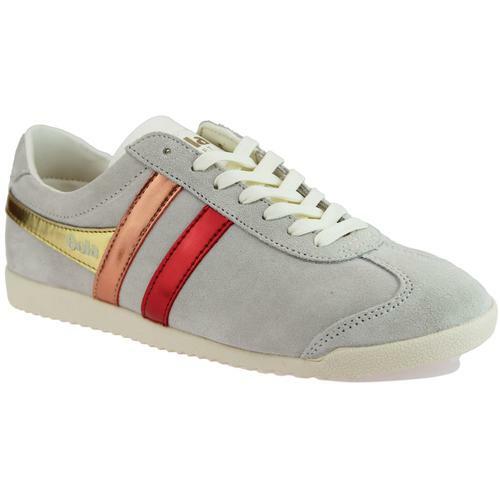 Exclusively available in women's sizes and in a contemporary white and silver leather upper with vintage cracked effect. Lace fasten, retro chunky outsole and contrasting silver tongue, toe and heel counter. 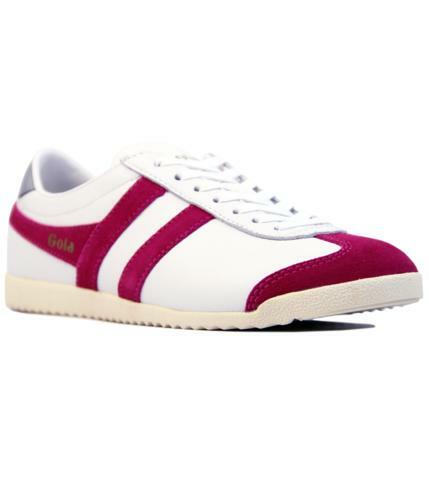 Perfect for summer, pair with jeans or mini dresses for a retro inspired sporty look. 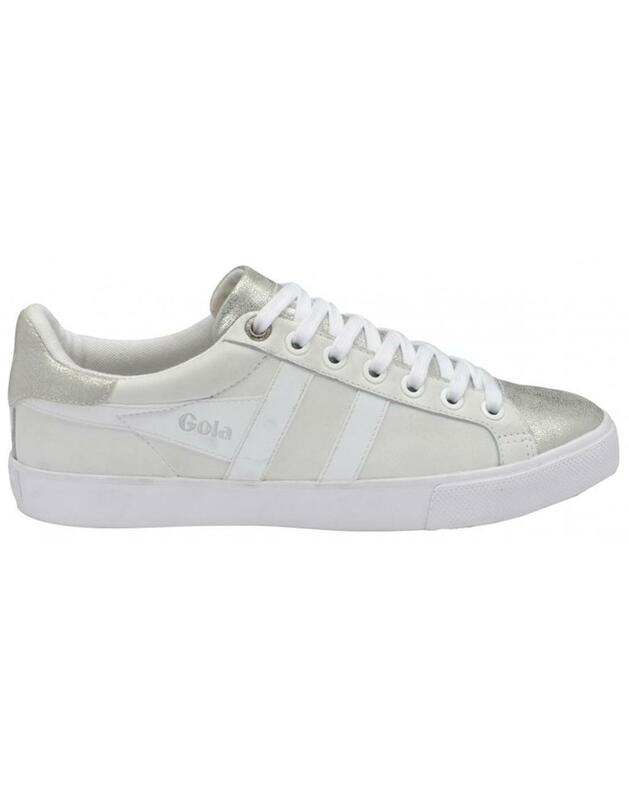 Gola Orchid Metallic women's retro tennis trainers in white/silver. - Leather upper in white and silver with cracked metallic effect. - Silver tongue, toe and heel counter. 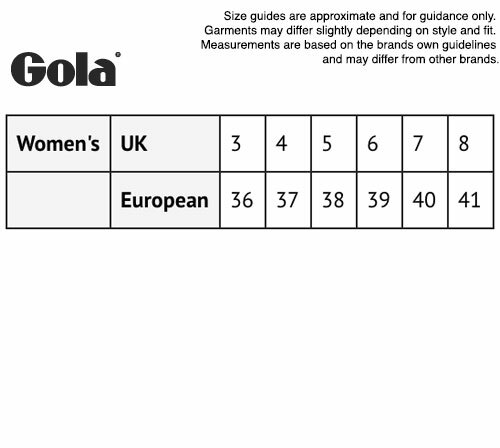 - Gola printed branding to side. Composition: Leather upper, textile lining, man made sole.